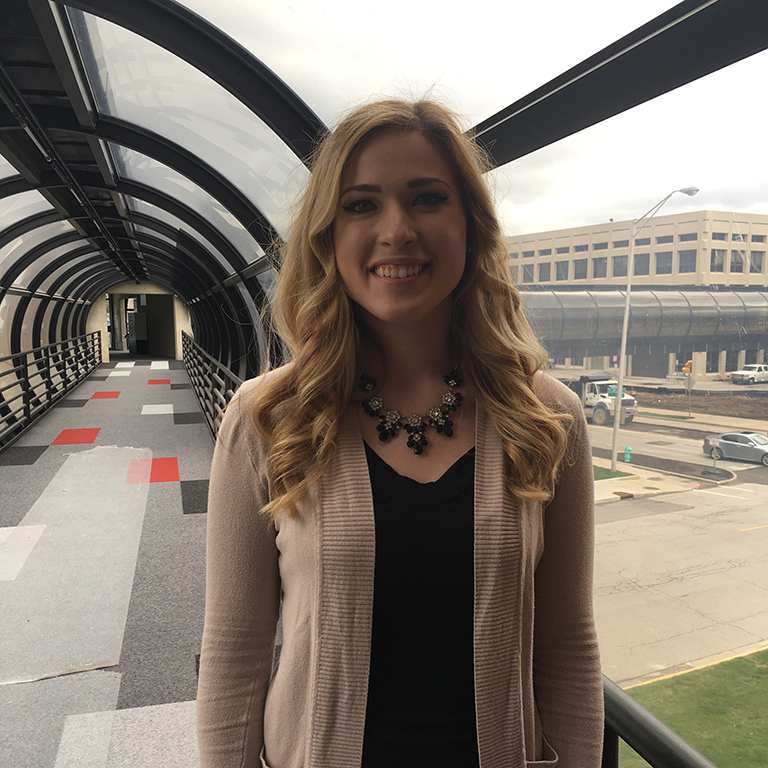 When Rachel Palfi started at IUPUI, she was a pre-radiation therapy major. She had job shadowed a radiation therapist and really felt that the career was something she could see herself doing. Once she decided her major, Rachel says, “I gave it my all my first time around with radiation therapy,” despite being warned at the very beginning how difficult it would be. Many of the schools and programs in the health and life sciences are extremely competitive. Rachel said that it “is hard not to go in feeling like you are going to fail.” After finding herself on the wait-list for radiation therapy, she tried to remain as positive as possible. Suddenly, Rachel had 40 new potential majors in front of her to explore. She was overwhelmed during this time of trying to find the one that was right for her. Rachel felt as if everyone was throwing options at her and that she had to job shadow at so many places and talk to so many different people to find the one. Rachel explained that finding health information management after a great job shadowing experience was the light at the end of the tunnel. She felt so relieved, saying, “I found it. I finally know what I want to be doing!” Rachel believes that all of the stress was worth it because she has everything figured out, and now she gets to just focus on her major. Take advantage of all the great opportunities you have here at IUPUI. Get out and job shadow, talk to professionals, and ask your advisors for help when you need it!